Welcome to beautiful Hillsville, VA – a small town that is a hidden gem. This treasured city is found within Carroll County on the Blue Ridge Mountains – a fantastic destination to experience the great outdoors and the beauty of nature no matter the season. Take a hike on the mountainside, float down the river or experience the rich history of this small town. 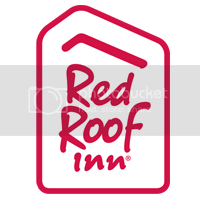 When visiting Hillsville, be sure to stay with us at pet friendly and affordable Red Roof Inn Hillsville. From the moment you check in, til you depart, at Red Roof Inn Hillsville you will be surrounded by amenities. From free WiFi and flat screen TVs in the room, to coffee & tea in the lobby, your stay is sure to be a quality one. Book Now. Come out and get farm fresh vegetables, fruits and products at the Southwest Virginia Farmer’s Market (0.6 miles) or Brady’s Farm Market (0.6 miles). Fresh from the farm to your plate doesn’t get any easier than this. Caroll County’s first winery and Southwest Virginia’s only meadery, Blacksnake Meadery (15.8 miles) gives visitors the opportunity to taste locally made wines and try mead, an ancient fermented honey drink with unique flavor. Enjoy unique local flavors on your stay. Check out Rio Grande Mexican Grill (Walking Distance), McDonald’s (.4 miles), Wendy’s (.6 miles), Shoney’s (.6 miles), Aunt Bea’s Barbecue (2.4 miles), Hillsville Diner (2.6 miles), The Dutch Oven (2.6 miles) and Applebee’s (8.3 miles). Book Now. Enjoy nature the way it was meant to be. Take a hike through the Crooked Creek Wildlife Management Area (9 miles). Enjoy the wild side, explore and get out in the fresh air. Stay at Red Roof Inn Hillsville, 7 miles away from the Blue Ridge Parkway. One of the most scenic routes in Virginia, the Blue Ridge parkway takes you through the gorgeous scenery and sites of Virginia. Stay close on your way to and from one of the most intense NASCAR events of the year, the STP 500 at Martinsville Raceway on 4/2 & 10/29 (65.8 miles). Spend your time enjoying the high octane fun of the race, not worrying about the long drive home. The site of a historic civil war battle, the Beaver Dam Creek Battlefield (3.4 miles) is a great site for historic learning and exploration for the whole family. Explore the fascinatingly unique history of the mountain community at the Carroll County Historical Museum (2.6 miles). Visit the Mabry Mill (25 miles) and learn the historic significance of the most iconic structure on the entire Blue Ridge Parkway. Check out the restaurant and gift shop while you are there. Enjoy the best titles on the big screen at the Twin County Cinema (9.3 miles). Grab a bag of buttery popcorn and enjoy a night out at the movies. Book Now.